Del. Bill Frick, a Democrat from Montgomery County, defends a bill Gov. 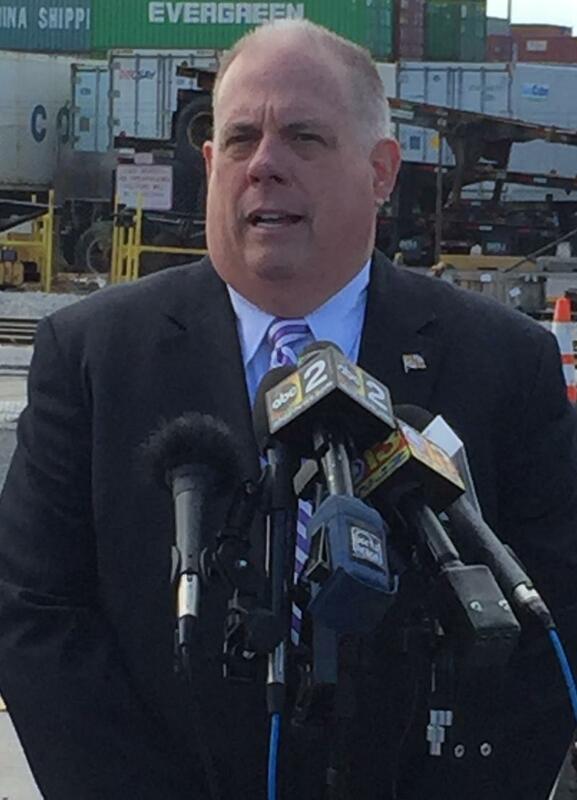 Larry Hogan vetoed last year at a press conference Thursday. The bill would require the state to generate more electricity from renewable sources. Gov. Larry Hogan vetoed the bill last spring. He said the increase on ratepayers’ electric bills amounts to a multi-million-dollar tax, a point the Republican executive repeated at a press conference on Tuesday. But supporters of the bill countered that message at a press conference Thursday. At most, ratepayers would likely see electric bills grow by 58 cents per month, said James McGarry, policy director for Maryland and Washington, D.C., at the Chesapeake Climate Action Network. He said bills would gradually increase, reaching that 58-cent mark in 2020, before gradually declining again. 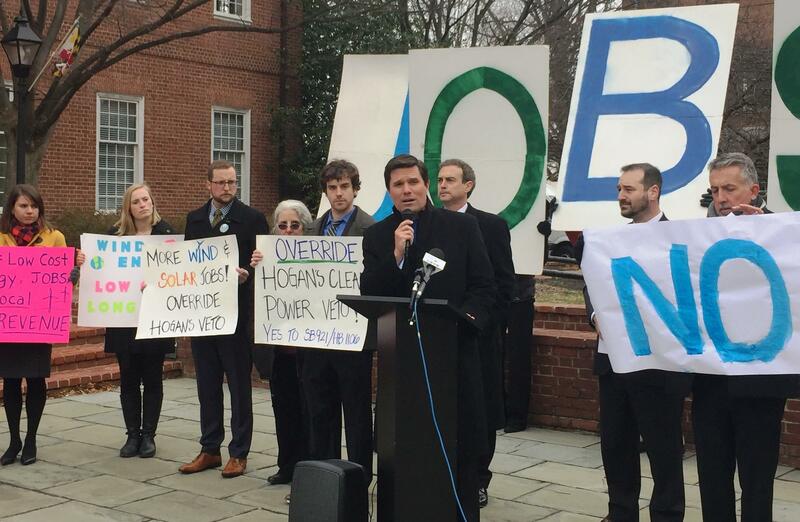 The activists and Democratic lawmakers gathered Thursday in front of the State House also said the legislation would create jobs in the renewable energy industries. Legislative leaders say they expect to override Hogan’s veto in the first month of the new session. Gov. 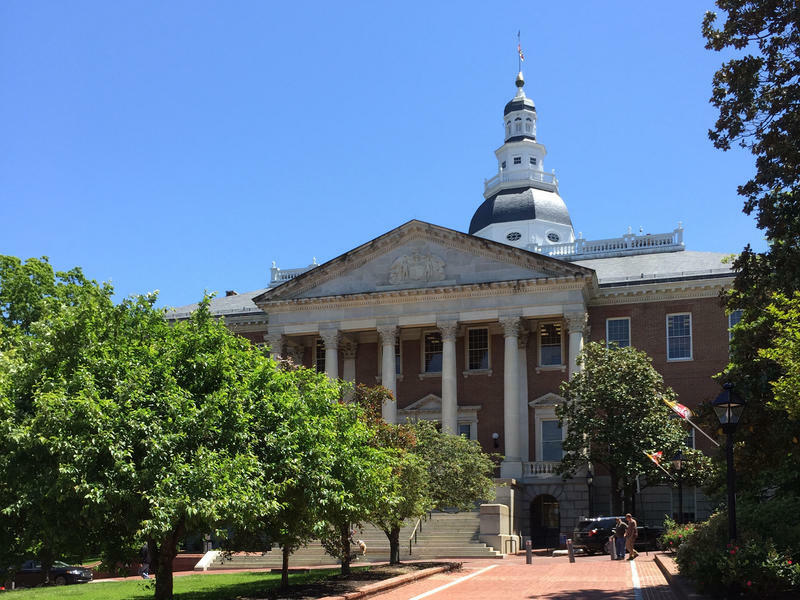 Larry Hogan plans to introduce legislation repealing a transportation law passed by the General Assembly last spring, he announced at a press conference Wednesday.